MB Supply is a specialty, made to order, home materials provider that services the North Central and Northeast Kansas areas. We make it our priority to be a partner to our customers through every step of the process. That includes making sure our products continue to live up to our level of standards every single day. MB Supply was looking to create their first online web presence and contacted Conceptualized Design to help them develop their first website for their business. We get the work done...fast! These are actual testimonials from a couple clients that we have worked with. As our business has matured over the years, we have had many great learning experiences and have gathered the best tools to utilize for our clients. The feedback is also a reflection of our service as we consistently provide quality work for our customers in a timely manner. 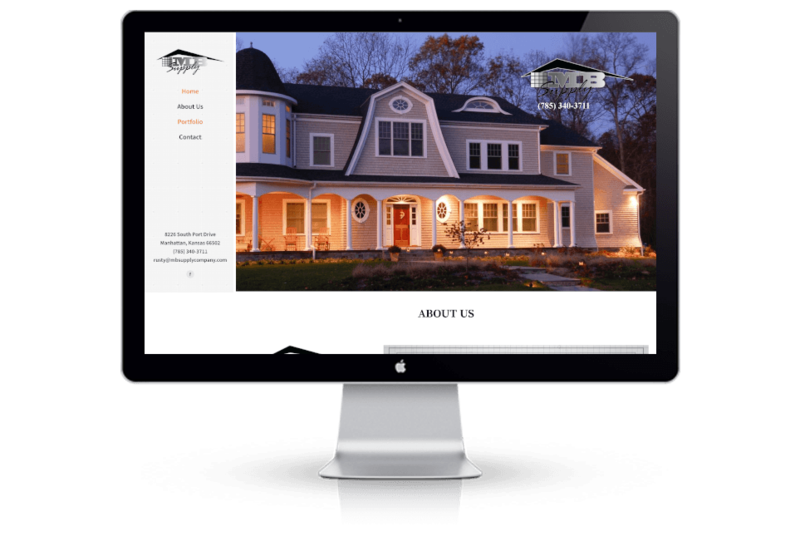 Click on the button below, fill out the form, and Click Submit and we will send you a FREE Website Design Estimate for your business.